What Smelcer discovered was the most significant “treasure trove” of Mertonalia in history. While numerous archives hold letters, notes, book drafts, etc., almost nothing personal of Merton’s was known to exist. 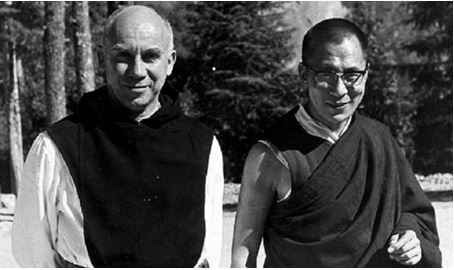 Merton was, after all, a Trappist monk, and therefore poor of earthly possessions by choice. The trove included all the clothing Merton is wearing in photographs from the last years of his life: photos of him in his white monk’s habit and black hooded cowl; photos of him in his iconic denim jacket, jeans, and sailor cap. Everything. The collection included such sacred objects as his rosary and his personal Psalter (Latin hymn book for Gregorian chant). It also included notes, photos, letters, and audiotapes of him talking.